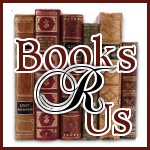 I want to welcome Katie Salidas to Books R Us. Katie is the is the Author of Immortalis Carpe Noctem . She is presently touring the blogosphere on her first virtual book tour with Pump Up Your Book! Thanks for stopping by. Why you started to write about the occult, supernatural and vampires and was it difficult to get into the writing business? I’ve been a die-hard vampire lover since I was a little girl. There was just something about those creatures of the night that struck me. Vampires were the only creature that “went bump in the night” and didn’t scare me. Unlike werewolves who hunted in the full moon, ripping their victims to shreds, or Zombies (Shudder… I hate zombies) who stalked you for your brains and ate the flesh away from your bones, vampires seemed more elegant and enchanting. They lulled you into a stupor, mesmerizing you with their gorgeous eyes. They were classy and spoke with old-world accents. And the best part, they didn’t always kill; sometimes they made you, like them. What can I say? I was hooked, plain and simple. So, as a lover of vampires and a writer, it was only natural I take the next step and merge my two loves. But, with the recent surge in vampire popularity, it’s not enough to just write a vampire story. You have to give a little oomph to it, something different whether is it a concept or a change to the old myth. We all know the standard vampire themes: Vampires cannot handle sunlight, crosses (or any holy relics for that matter) are a great deterrent, garlic is supposed to be toxic, and a stake through the heart makes a good killing weapon. When writing my story, I asked myself, why? Why can’t vampires handle the sunlight? Why do holy relics bother them? What is the deal with garlic? What does bloodlust feel like? I wanted to give the reader a real, solid reason behind the answers to these questions. I wanted to make my vampires real enough to step out of the pages. With all that in mind, I set out to deliver a story that let you experience, vicariously, the transformation from human to full fledged vampire. To survive as a vampire, one must learn to, Carpe Noctem (Seize the Night). While reading, you, the reader, will learn what it takes to be a vampire; you will experience the gut wrenching feeling of blood lust. You will make your first kill. You will feel the high and experience the guilt. If you can get over that, you will learn to hone your new supernatural abilities. In the end, you might even like being a creature of the night. Of course, only you, the readers can tell me if I accomplished this task well enough. Immortalis Carpe Noctem, the first in my new vampire series is available everywhere you look to purchase books online. Please pick up a copy and see for your self if Alyssa’s world has the bite you need. Thanks for having me stop by your blog. I’ve had a great time with this guest post! Please visit Katie's website and check back on May 28th for my review of this very interesting book.